Just in case you've been wondering where I've been hiding and what I've been up to, let me bring you up to date. Our recent move just knocked me for a loop. We had such a quick closing on our house which left us with less than a month to find a new place, pack up the old one, make all the arrangements affiliated with a move and then the actual move itself...eleven days before Christmas, I might add...and left me both physically and mentally exhausted. Add to the mix the roller coaster of emotions when we found out that the house we were going to buy contained asbestos, leaving us in a total quandary as to where we were going to live. Thanks to friends, we did find a new place...which, by the way, we both love...and the rest as they say, is history. 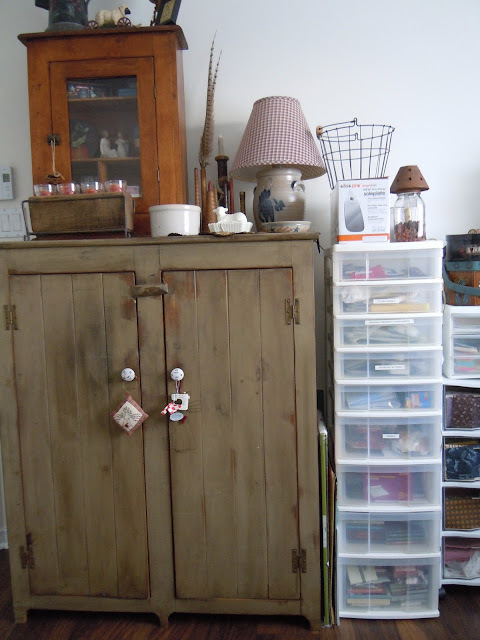 The entire house was a piece of cake but my studio was an entirely different story. Once we knew where we were going to be living, Mr. 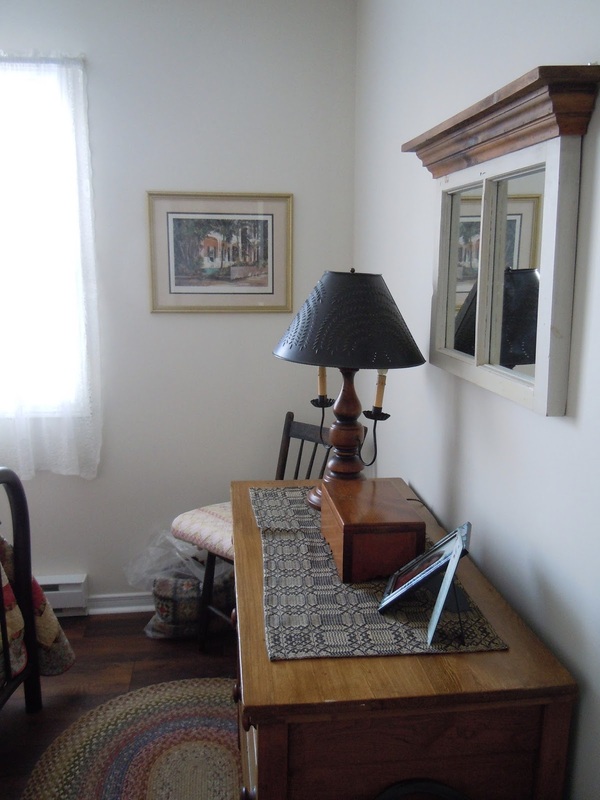 Painted Quilt graciously offered me the larger of the two bedrooms as my designated studio because he knew that ALL MY STUFF couldn't possibly be crammed into the smaller of the two bedrooms. Thankfully, everything fit in according to the plans that I had envisioned and it took me about a week to get everything situated. 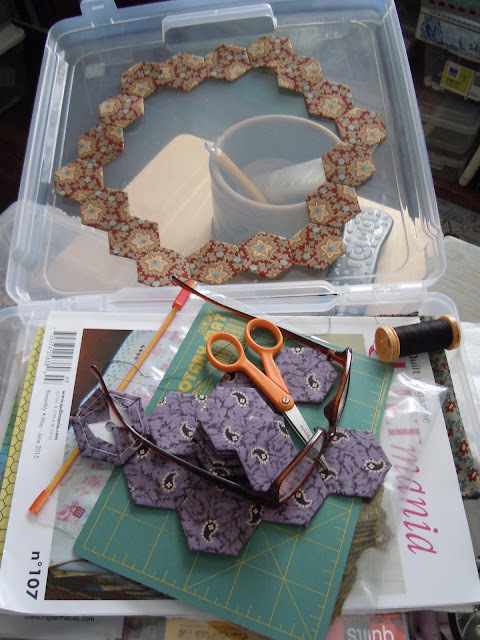 Prior to the house selling and the subsequent move, I had made a commitment to Blank Quilting that I would have my second fabric collection in their hands by the end of January. Mid January crept up on me, just like the fog rolling in from the sea, and I hadn't even started on the designs. Even though the theme had been approved and the fact that I had several rough sketches done, I honestly came very close to cancelling my commitment, something I have never done in my entire life. But all my life I have found that I always work best when under pressure. I put my nose to the grindstone and once I started, the sketches turned into final artwork and I was able to meet my commitment. The package arrived at the Blank Quilting offices in New York City this past Tuesday, a week before the promised deadline. Their art department has been diligently working on them and since Wednesday, through emails, I have seen my designs come to life and I'm over-the-moon crazy about them! All I'm going to say at this point is that I've stepped totally out of my comfortable zone and proverbial box with this collection and I can't wait for you all to see it! So now I can rest a little easier and take some time for myself which is what I've done this past week and will continue to do. 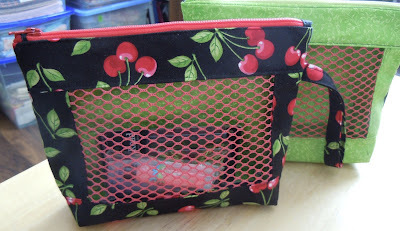 I've always wanted to try my hand at making some little "ditty" bags but due to my ZIPPER PHOBIA, I've made every excuse in the book to not even go so far as to pull the fabric to attempt them. I finally took the proverbial bull by the horns and made not one, but two little bags! I'm really pleased with the way they turned out and I can see creating many more in the future. Me and the zipper thing still aren't best buddies but at least now I'm not nearly as apprehensive as I was. Key word here is "nearly". And this was the view out our back door this morning at about 8 a.m. I don't fancy going anywhere so what better time than to bring out the tote containing all my Brinton Hall supplies, a quilt that was featured in issues number 107 and 108 of Quiltmania that I started shortly before our house sold. Oh, and one last thing. 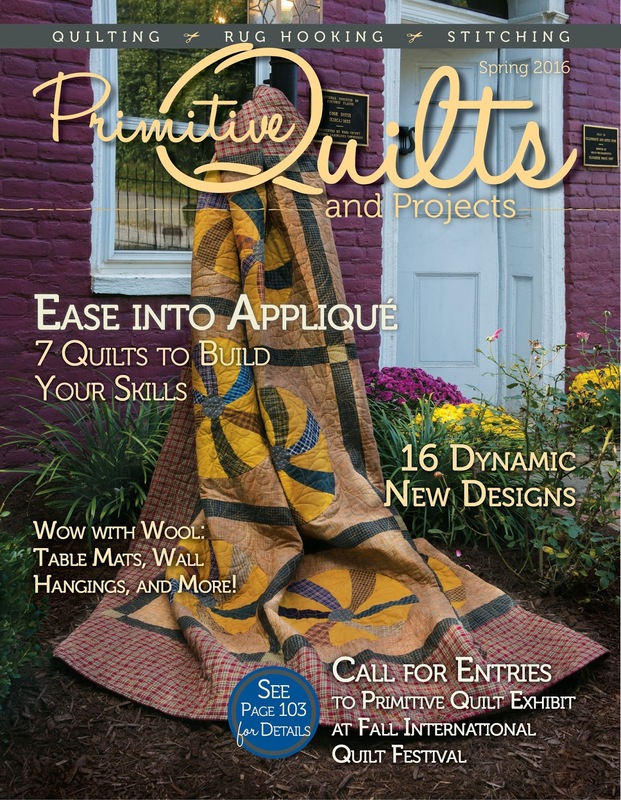 Have you received or purchased the lasted issue of Primitive Quilts & Projects magazine? 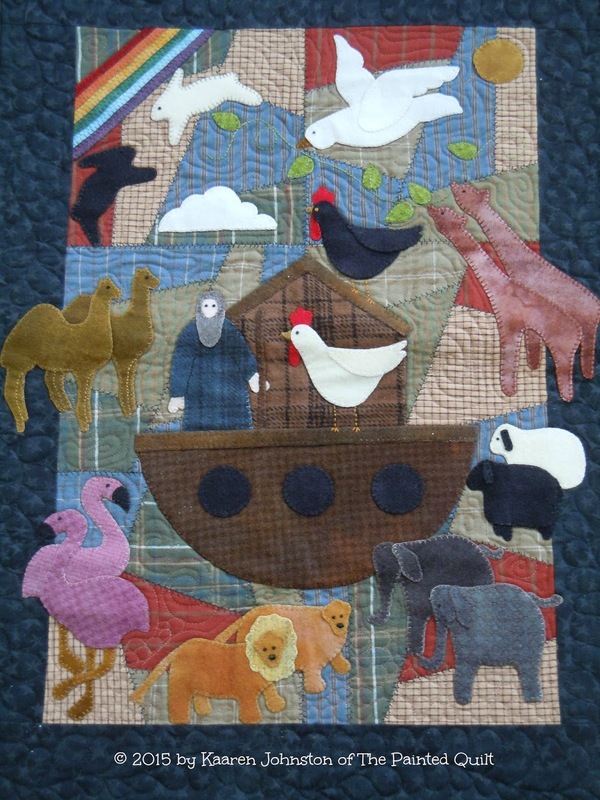 My In the Garden of Eden project is in it! 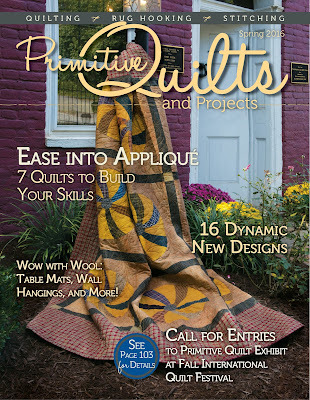 Would you like to have a sneak peek at the project that I designed for the Spring 2016 issue of Primitive Quilts & Projects magazine? The gals just sent me the photos of both my "The Garden of Eden" project which they asked me to share with my readers as well as the photo of the latest magazine cover. I don't know about you all but I'm sure excited! I worked this design in wool on cotton but it can certainly be done entirely in cotton as well. If you liked my "Noah & Friends" that appeared in an earlier issue of PQ&P, then you're sure to love this one as well! Keep your eyes peeled both on your mailboxes and news stands because it is due to be released any day now! 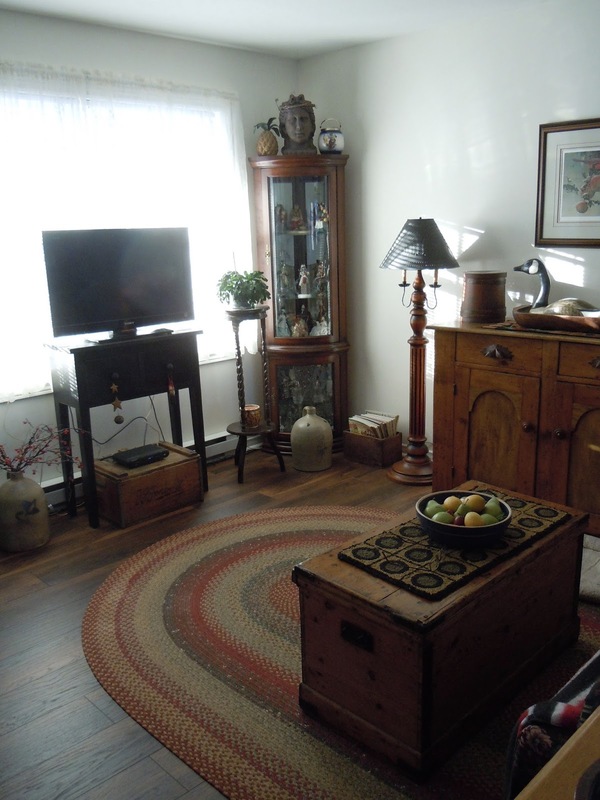 Because so many have asked to see some photos of our new home, I just took these to share with you while Mr. 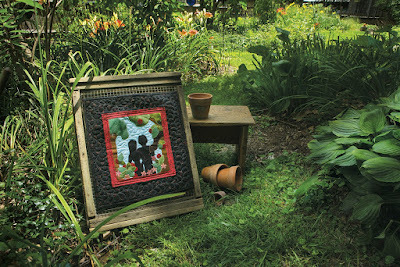 Painted Quilt and Ollie were out for a walk on the trail across the road and it was still bright and sunny outside. There is still stuff to be done but mostly in my studio area. I have soooooo much stuff and I'm still playing around with were to place things so that it doesn't take on the appearance of a fabric warehouse. Our bedroom is small but very cozy and this week the bed is covered with my Dresden plate quilt that I made and hand quilted about 7 or 8 years ago. We're almost there but boy oh boy, are we ever going to have some major yard sales come springtime!